Are you a Happy Winkie? Winkie is actually a nickname given to me in the Marine Corps based off my my maiden name. One day the laundry was being passed out and someone abbreviated my name and called out “Winke” to get my attention. After that my fate was sealed. When the DIs were out of the room everyone called me Winke. If they slipped and said it in front of them… I received extra attention. Good times. What is a Happy Winkie and are you one too? Winkies give Smiles, Hugs, and Winks to make someone’s day a little better. Remember to give at your comfort level. If you decide hugs are important to give then remember deodorant is also important to most people. We share words and things that uplift each other. We choose to find our happy moments where we can find them. We choose to sing when no one else is singing. We dance because it makes us happy. We laugh and we laugh often. I know we are suppose to be mature, but I am surrounded by 4 silly minions who think everything is hysterical. It was super annoying… then I realized I was stressing out about them laughing. SMH I am over that now. Choose to laugh more than you did last year. We look for opportunities to gather with happy and positively energized people. We find something to be grateful for. We find beauty often neglected by the masses. We choose to move forward when it feels like the world is trying to hold you back. There is no such thing a “perfect” Winkie. Every Winkie is Unique! We choose to Heal. We choose to Forgive. We choose to be Happy! We say “There has got to be a better way” and then we find it! There are probably half a million ways to describe a Winkie. Simply put… Winkies make the World a Better Place! You may not know it but every time you share your positive attitude, you re-energize a Winkie to keep going for another day. Why is the Facebook group called, Wandering Winkies? 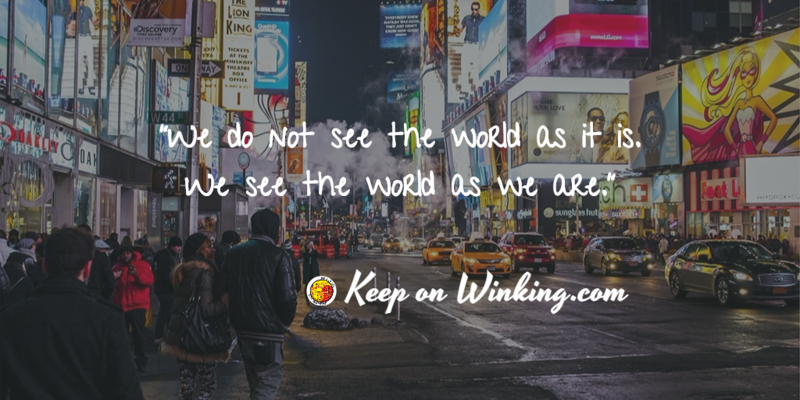 A Wandering Winke/Winkie is simply someone who makes the world a better place while they are on the move!